"The only black I buy." It is a great color and covers well.And lasts a long time! 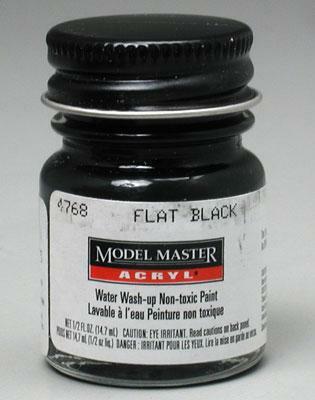 "Model Master Flat Black Paint"